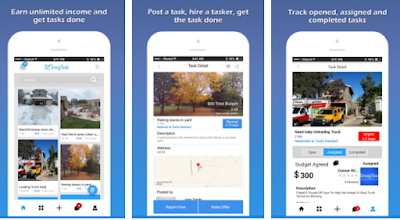 SnagTask is the platform where the person with some skills can get some additional work in their free time and on the other side the people who have no spare time in their busy schedule for their important stuff. Either it is about fixing the home electric supply or if it is about cleaning, your garden you can hire these skilled persons to get their needs being satisfied. You do not have to make an extra account either you are a poster or a service tasker you manage both jobs from one account. You can contact the skilled professionally directly by texting from the app. The review and rating system that allows you to select the best professional for your specific job to need to done. iOS version: Requires iOS 7.0 or later.